The Thai Ridgeback Dog is one of the oldest breeds of dogs in the world today. It was recognized by the FCI (Federation Cynologinque Internationale) on July 28, 1993 as #338. In October 1993, the communication Authority of Thailand printed the Thai Ridgeback Dog on four different Thailand postage stamps. (Thai Ridgeback comes in four colors: black, fawn, red, and silver or blue.) Thai Ridgeback is also one of the oldest breeds in Southeast Asia. There are four different breeds of dogs native to Thailand. They are the Thai Dog or soi dog (no ridge on the back - your basic street dog), the Boran Dog (a totally hairless dog thought to be extinct), the BangKaew Dog (a fox-cross wolf dog) numbering in the thousands and last the Thai Ridgeback Dog or as I decided to call them...the TRD, which comes in either different ridge patterns on the back. Now, the TRD has become the most popular in Thailand in the past twenty years. Years ago a very old book was found with a drawing of a Thai Ridgeback Dog. This book is about 350 years old Many Thailand people say that the TRD is Kon San (Short-coat), Lung Ahn (Ridgeback), Hoo Tang (Erect ears), and Hang Dab (Tail-up like a sword). These words describe the characteristics of the dog in the drawing shown in this very old book. So this book can prove that the TRD has been in Thailand for at least 350 years. A few years ago, some Thai people discovered a cave in Uthai-Tanee province. This cave is named Tum-Pra-Toon . There are a lot of drawings in this cave. The drawings show the daily life of that time. There are dogs in some of these drawings. One drawing of a dog was very clear, it looks just like the TRD. A Thailand professor has proved that these drawings are more than 3,000 years old. 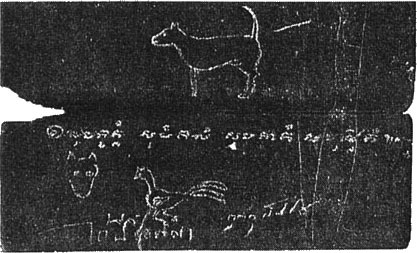 There are other caves in Korat, which has many drawings of dogs looking like the drawings in the Tun-Pra-Toon cave. Between 1967-1982 there were only a few dog shows, breeders and exhibitors in Bangkok. The TRD were always in the show rings and always top winners. The breeders of the TRD had to travel to all parts of Thailand to find the best TRD. They were not easy to find. They were hidden away in areas where there is very poor communication and very few people would travel there because of poor roads. Because of these remote areas, the TRD must had bred naturally for a very long time. No other breeds were known to be in these areas except the TRD. In 1988-1993 there was a very "Big Boom" of the TRD. Some TRD would cost as much as $20,000. Today, there are over 50,000 TRD registered by the Dog Association of Thailand (DAT), but there are over 10 times more TRDs that have not been registered. So, there could be more than a half million TRDs in Thailand. Thailand and China are not so far apart. Is it possible that the TRD of today and the Chinese Shar-Pei came from the TRD? Many say that Chinese Shar-Pei came from the Phu Quoc Dog. Is the Phu Quoc Dog the same as the Thai Ridgeback Dog? In ancient times, the King of Vietnam was in trouble with his people. 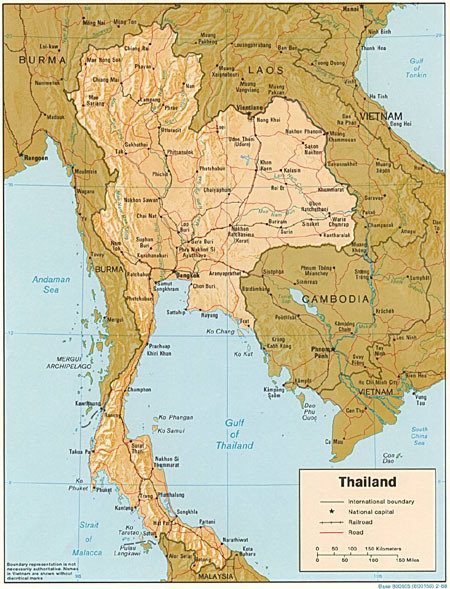 He fled to Thailand and stayed with the King of Siam (Thailand used to be called Siam). The King of Siam supported the King of Vietnam to fight back his enemies. He soon regained his kingdom and developed a very good relationships with many Thai people. Many say he brought back the Thai Ridgeback Dog to his country. Could these dogs have evolved to become the Phu Quoc Dog of Vietnam? Also, many travelers from Africa brought back the Phu Quoc Dog to breed to their Hottentot Dog to create the Ari Ridgeback of South Africa, later to be called the Rhodesian Ridgeback. So, who made the TRD? No one really knows. They go back in time before written history. No one can prove the TRD past, for no records were kept - only stories passed on through the centuries. I can only guess on the history of the Thai Ridgeback Dog.